With Star Wars Episode VII opening in just a few days, let’s take a look at the movie that started it all, Star Wars (1977). It’s a great movie but it’s not without its faults. Here’s a few bloopers you may not have noticed in the movie. At the beginning of the movie when R2-D2 is in the escape pod and C3PO is arguing with him there is a shot of 3PO from the side and you can see the reflection of the camera in his head. When Darth Vader and Ben are fighting, Darth’s chestplate is on backwards and the belt “buckle” is as well. It appears that the entire shot was reversed. After Luke gets pulled underwater in the trash compactor, he is shown with a piece of garbage on his forehead in one shot. In the next shot his forehead is clean, but in the following shot, the piece of garbage is back again. The first interior shot of the Millennium Falcon’s cockpit shows small hanging dice. In every other shot, however, the dice are gone. When Leia shoots a hole in the detention area wall for their escape, the hole is not big enough to jump through, but when they all jump in, the hole is much bigger. If you watch carefully before Han Solo shoots Greedo, you can see that Greedo has been replaced with a fake-looking goofy dummy just before he explodes. When the walls of the trash compactor start moving, the bar Leia uses to brace them is easily obtainable, but in the previous shots, it was partly buried in garbage. The Force is upon us. It is strong. But who is the new Dark Lord? Jar Jar (an undercover spy and Jedi)? Luke (like father, like son)? The Sith’s laws say there can only be two Sith at a time: a master and an apprentice. There’s food for thought. What about Snoke and Kylo Ren? Is Princess Leia, a Jedi now? Has everyone turned to the Dark Side? How many Wilhelm Screams will be in the movie?? These questions and more will all be answered on December 18th. Or will they? While filming the lightsaber fight scenes, Ewan McGregor kept getting carried away and making the sounds of the weapon himself, which had to be removed in post-production. Tupac Shakur auditioned for the role of Mace Windu. An early draft of the Star Wars saga began with “This is the story of Mace Windu, a revered Jedi-bendu of Opuchi who was related to Usby C.J. Thape, a padawan learner of the famed Jedi.” It wasn’t until Star Wars: Episode I – The Phantom Menace that Mace Windu and Padawans first made an appearance. The waterfalls cascading around the capital city of Naboo was actually salt. 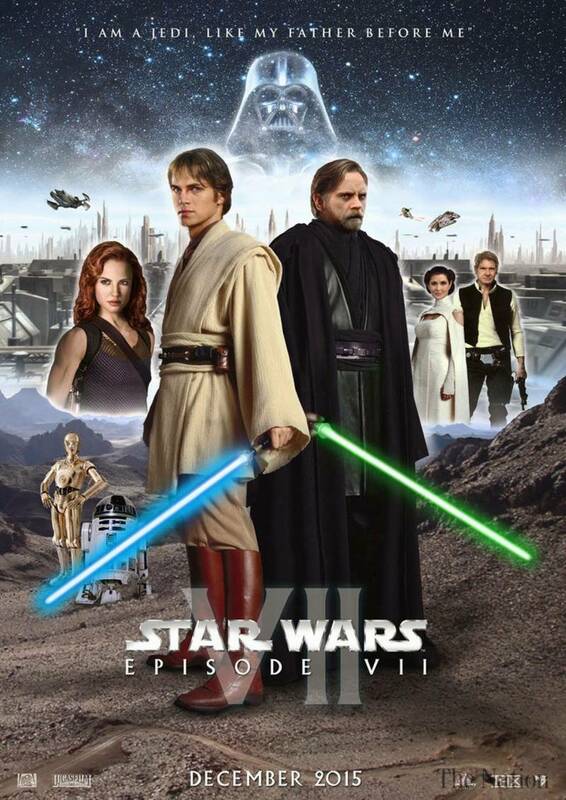 Star Wars: Episode II – Attack of the Clones was labelled as “Cue Ball” when it shipped to theaters. The cow-like creature seen grazing in the fields behind Anakin and Padmé in Star Wars: Episode II – Attack of the Clones can be seen again as an asteroid later in the film.